C-Diary is an On-line booking system for Private & Medico-Legal Appointments for Doctors and Therapist. Bookings could be made anywhere, anytime and it auto sends SMS reminders to reduce your DNAs. One can increase your bookings by creating availability in C-dairy and increase your income. 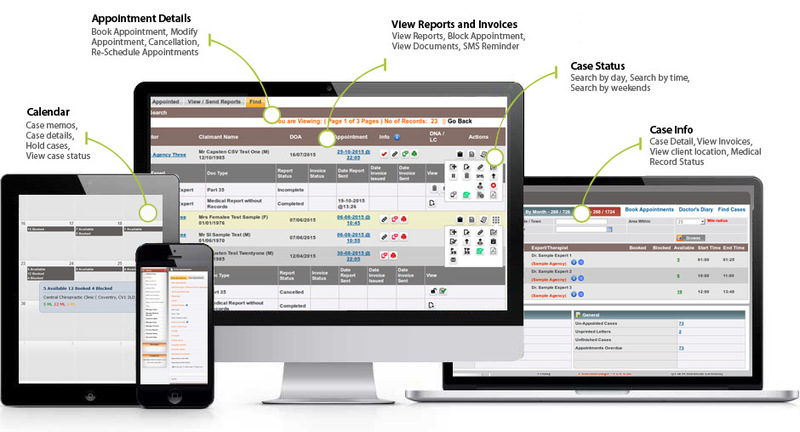 Users can receive real time updates and notifications about your appointments. C-Diary assist to search and book appointments using various filters to locate the right expert. C-Diary fully complies with MedCo requirements, it allows MROs to view Details of the Experts (CVs, Indemnity, MedCo -IDs and Accreditations) to view and download. It also assist the MROs and Direct Experts to build and upload CSV files received from Coral Reports to the MedCo Portal. C-Diary has multiple functions aimed to simplify the booking process. Free SMS Reminders and Real time Info on Cases. Multi user system communicates effectively with various stake holders. C-Diary is Integrated with Market leading MRO`s. Booking system is integrated with Coral Reports, which is fully FREE!! MRO`s could build CSV files using C-diary and manage bulk uploads. Our medical agency requirements have grown considerable during this time and have always been met by the level and quality of service provided by Coral Technologies. I have been working with Coral for many years and can confirm they provide a very efficient and excellent service. They have a very organised, helpful team and I would not hesitate in recommending their services.